Garmin FR10 Quadruple Giveaway Winners! Over 1,700 of you entered the FR10 giveaway (including the e-mail Active Duty entrants), which only was open over this past weekend. Pretty crazy numbers! I had asked each entrant to simply list their first race of the 2013 season. Number 1,235, come on down! Congrats Jared! And good luck on those 26.2 miles! Next up, the next number to be called! Congrats Romeu! Interestingly, splitting the winners between US and International again by random chance keeps the near-perfect balance of all past giveaway winners split evenly between the two categories. Of course, I’d also like to thank Clever Training for supporting this giveaway. 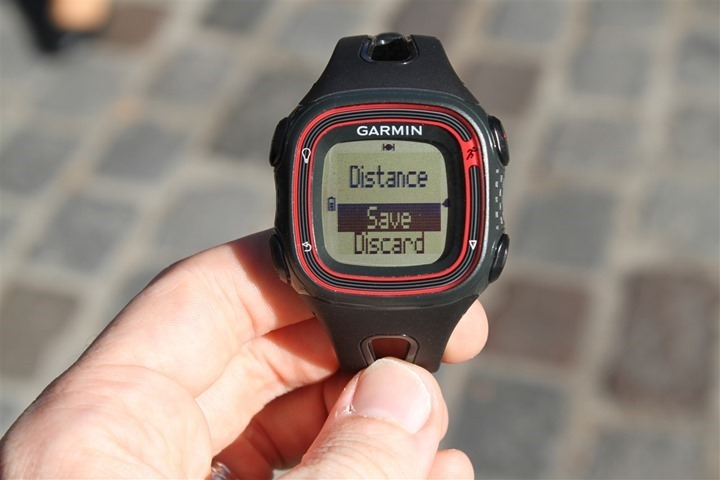 Even if you didn’t win, you can pickup the Garmin FR10 from them (as well as anything else) and you support the site. Plus, all DC Rainmaker readers get an exclusive 10% off everything they sell (basically every sports tech company) using coupon code DCR10BTF. Thanks for supporting the site, and good luck to everyone on the events planned for next year! 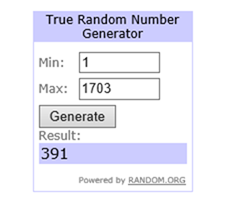 » The May Day Giveaway Results! » The ‘Anything On My Recommendations’ List Giveaway Results! » The ‘Guess How Many Steps I Walked at CES 2015’ Giveaway Winner! Congrats Jared and Romeu! Thanks again Ray and Clever Training – love your work! Wow, thank you so much! I have been participating in these giveaways for some time now, glad I got this one. I’m hoping this watch can help me introduce some running in my cycling-only regime. Keep up the excellent work Ray! I really enjoy your website and blogs. Congratulations to Jared & Romeu Gaspar. Wanted to let you know of my great experience with Clever Training. I finally broke down and bought the Garmin 910 heading into Ironman Arizona. In my haste, I forgot to add the DCR10BTF discount code and paid full price. Once I realized my mistake, I sent a email, and within the hour, received a response from them that they would credit my card for the discount – which they did. Thanks again for all you do. I’ll continue to use them for future purchases, such as my replacement 910, as the previous version currently rests at the bottom of Tempe Town Lake. Awesome, that’s great to hear! Thanks for dropping the note, I appreciate it (and they do to!). Yay, my wife is going to be happy! Congratz to the happy few! Congrats to the winners, however I think so long as Ray keeps posting we’re all winners. Great job Ray. What???? It came to Portugal and I’m not the winner!!!! I would never guess there was more than me has your reader. I want one for Xmas ! !